roblem: Emmy Award-winning creative design firm in need of upgrading aging Apple Power Mac editing suite to Mac Pro systems with robust storage capable of providing fast, reliable access to HD content. Solution: Sonnet’s 8-drive desktop Fusion SATA storage system with PCI Express® RAID controller card providing speed, capacity, and security in storing HD content. The Sonnet Fusion storage solution in operation at Maday Productions, a Chicago-based production and design firm, for the past 10 months replaced a 1TB Fibre Channel array. Investing in a larger Fibre Channel system was unappealing because of the high cost required for a relatively small gain in capacity. For Maday productions editor Jeremy Garchow and his colleagues cost as well as reliability were key factors in evaluating storage systems. The award-winning Sonnet Fusion storage met their requirements. The Fusion system is designed to meet the demands of HD editing and deliver the performance required by Maday editors, who typically finish client projects in uncompressed HD up to 1080i. Maday’s client list includes a diverse range of companies ranging from GE®, Harley-Davidson®, and the Chicago Mercantile Exchange® to Wilson and Boys Hope Girls Hope. Maday’s post-production workflow incorporates Final Cut Pro® on the latest Mac® Pro system, which in turn is connected to the Sonnet storage system. Configured for RAID 4 protection, the Fusion system provides 6.37TB of usable capacity and the security of fail-safe protection in the event of a drive failure. The system provides Maday’s editors with high-capacity storage that enables them to work longer without the need to frequently backup files and clear drive space. Keeping an eye on cost, capacity, and ease of use, Garchow had narrowed down his choices for a robust storage solution to a few promising contenders but was sold on the Sonnet solution when he learned that ExpressSAS RAID adapters from ATTO® Technology were incorporated into Sonnet Technologies’ Fusion line of SATA storage systems. Integrated RAID protection ensures the performance and fault tolerance of the Sonnet systems even in high-bandwidth applications such as HD post-production. To learn more about AZ Los Angeles, visit www.madayproductions.com. 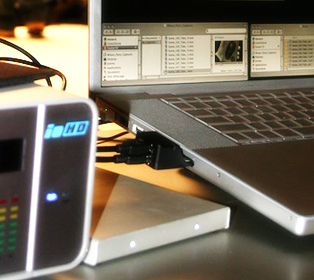 Maday Productions incorporates several Sonnet products into their production workflow including the Fusion F2 (shown above) and 8-drive Fusion desktop storage system. 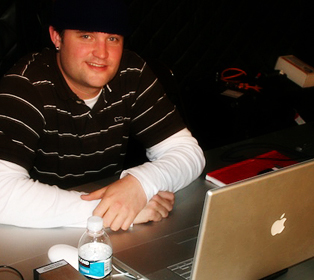 Constant concerns about system failure can really get in the way of your workflow and creativity,” states Garchow. “When you’re under pressure and working with a client right there, you don’t want to be worried about the performance of your technology. The Sonnet system does its job quietly and reliably so that I can focus on mine.